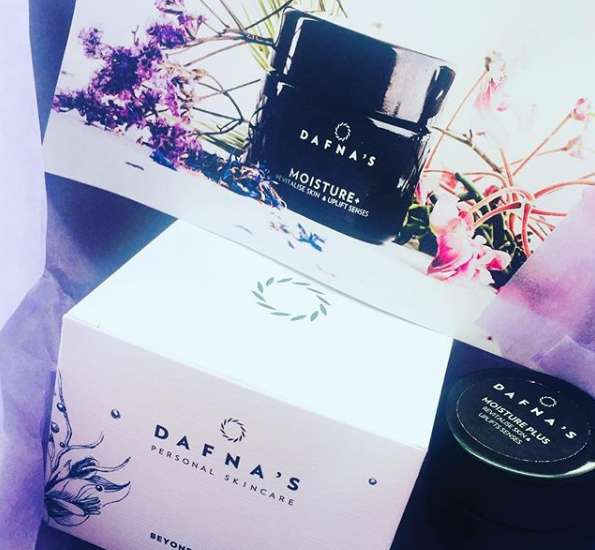 Dafna's Personal Skincare suddenly appeared, as if by magic, Social Media was awash with their range, especially the Revival Mask. As a fan of the traditional mask from a jar or tube this appealed to me, so, did this go beyond skin deep? Give me a glass jar dark to protect the contents and I'm happy, something triggers in my brain when I have a substantial container offering me a blend of skin transforming product, the heavier the vessel, the more I believe in the miracle promised. Dafna's starts my belief with a glass jar, protecting products from UV and spatula, the journey begins. The Revival Mask is a combination of ingredients developed to give skin its vitality, softness, radiance and hydration back, it may not all be lost, but, it's there to help. Using Charcoal, Hyaluronic Acid, Ginseng and Reishi, this is a bi-phase mask, when first applied it is patted onto the skin, the hydration of the skin is tackled, reviving and energising the skin leaving it brighter, plumper and smoother. The next phase is the blending of the mask onto the face using damp hands, this activates the charcoal capsules, balancing out the complexion, resulting in an even skin tone. I love the smell of this bio-active mask, it is leafy with a fruity/floral note, the consistency is creamy with the tiny charcoal flecks. This creamy texture feels cool to the touch and is easily patted over the skin for the first stage of the application, then I dampen my hands and blend the mask, the charcoal 'bits' pop and blend away, their grey wispy lines disappear like magic onto the skin. I remove the mask with a towelling cloth. I find this mask gentle enough to use 2-3 times a week, in my morning routine it really refreshes the face and leaves skin very smooth, as part of my evening routine it is a relaxing treat, I leave it for a little longer before blending away the charcoal and often lie with the warm cloth over my face, my skin always feels clean, refreshed and smoother. This is a treat for the face, a costly treat, it is a lovely, gentle mask, that smells good and leaves skin very soft & fresh, I love how clean it feels without leaving a tightness to the skin.